This past Sunday, the citizens of Puerto Rico took to the polls to make their voices heard regarding the future political status of their island – statehood, independence or to continue to remain a territory. Or at least, a handful did. Just 2 out of every 10 Puerto Ricans participated in the referendum, the 5th of its kind. The historically low turnout was due in large part to opposition parties that promoted a boycott of the vote for statehood. Meanwhile, the referendum has attracted the attention of the Act 20/22 community, whose curiosity stems from their investment in the island’s future. Currently, Act 20 offers businesses providing export services a 4% tax rate, while Act 22 affords new Puerto Rican residents a 0% tax rate on capital gains, dividends and locally-sourced distributions. Since Act 20/22 decree holders have signed contracts with the government, how will the possibility of statehood impact the community, if at all? Let’s take a look at some of the facts and provide some input. As Puerto Rico’s recession continues, unprecedented steps are being taken in order to turn the tides. While the Act 20/22 program is a step in the right direction (100,000 jobs are expected to be created over the next 10 years), it will not single-handedly save the island. For those who participated in the process, Sunday’s vote sent a message of support for statehood to the U.S. Congress – 97% of votes cast were in favor. This pro-statehood camp, led by Governor Ricardo Rosselló, believes that it deserves the same rights as other states – representation and government support. Currently Puerto Rico lives by the old adage “No taxation without representation”. It is exempt from federal taxes and does not receive federal aid. This ability to govern autonomously is a double-edged sword – contributing to the current debt crisis, but also the creation of various tax incentive programs. 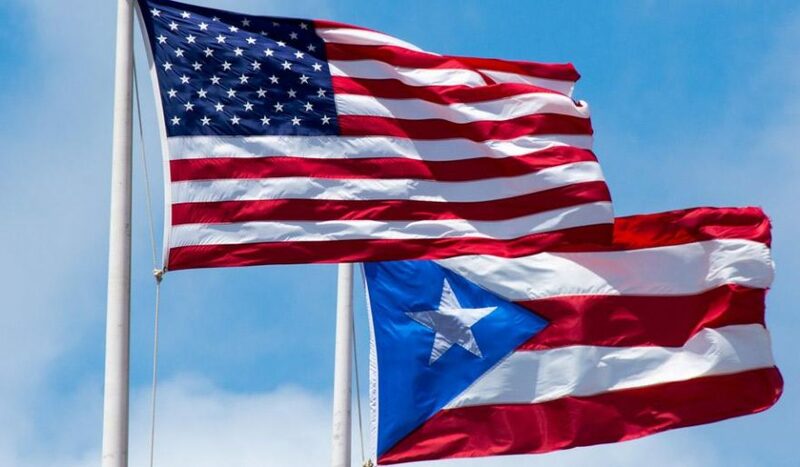 The most recent referendum took place in 2012, when Puerto Ricans also demonstrated support for statehood, but voter participation was nearly twice as strong as Sunday’s 23% turnout. And just like followed the referendum in 2012, Puerto Rico will now put the “Tennessee Plan” into action – the governor will send two senators and five representatives to ask for statehood. After speaking with government officials, industry professionals and prominent businessmen, CASPR views the probability for Puerto Rico’s statehood or independence as impossibly low. The U.S. is not keen on assuming responsibility for Puerto Rico’s $70+Bn debt burden, especially given municipalities’ mounting pension obligations here at home. Additionally, if we were to add a star to the flag, this would immediately alter the political party dynamics in Washington. Since Puerto Rico would invariably lean Democrat, we have a hard time justifying why the current Republican administration would support more blue ties in Washington. It appears that this $7m initiative will be classified as wasteful spending from the Puerto Rican government, with changes unlikely to result. Despite a personal belief for freedom and representation, Puerto Rico will continue to remain a territory and the Act 20/22 incentives will continue to flourish – a program which has had overwhelming bipartisan support from both the Puerto Rican and U.S. governments since its enactment in 2012. And since we have seen the impossible transpire in Washington in our recent presidential election, it’s important to recognize that were statehood achieved for Puerto Rico, the assimilation process would take over a decade. In the meantime, those tax rates for corporations and new residents are here to stay.